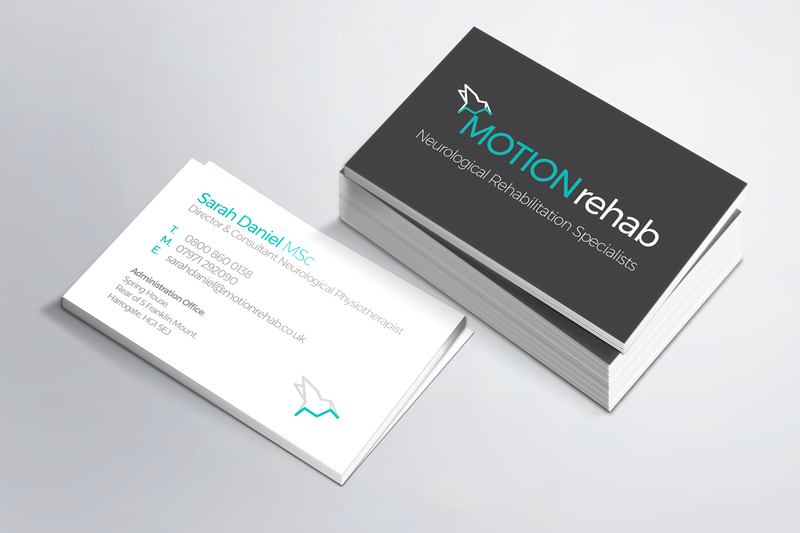 MOTIONrehab is a team of specialist neurological physiotherapists and neurological/complex exercise instructors working across Yorkshire and Humberside. I was tasked to re-brand the collection of clinics previously known as PhysioFunction. The new brand has been rolled out across all mediums, from the website, social media and stationery through to staff uniforms, signage and more. I created an icon in the shape of a bird, representing motion, freedom and movement. The base of the bird is also shaped as an ‘M’, providing a unique, standalone identity to represent the company. The core functions of the website were to provide a simple, easy way for visitors to locate a clinic, make an enquiry and gather the information they required. 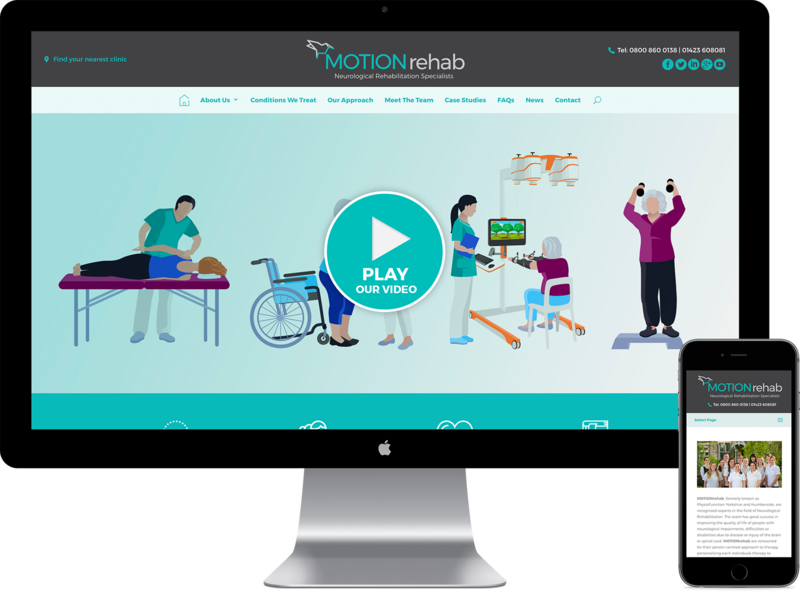 The website also features client testimonials, case studies, latest news and extensive information on the conditions which MOTIONrehab specialise in treating. The website is fully mobile and tablet responsive, features video content and can be easily maintained by the WordPress CMS.